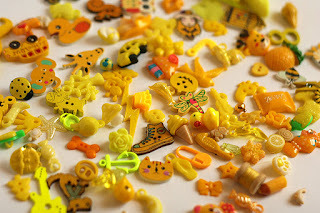 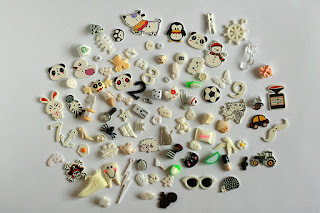 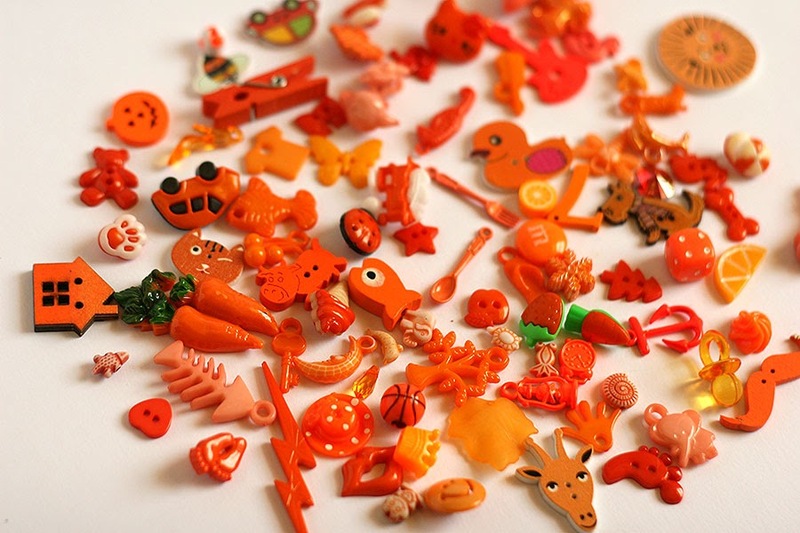 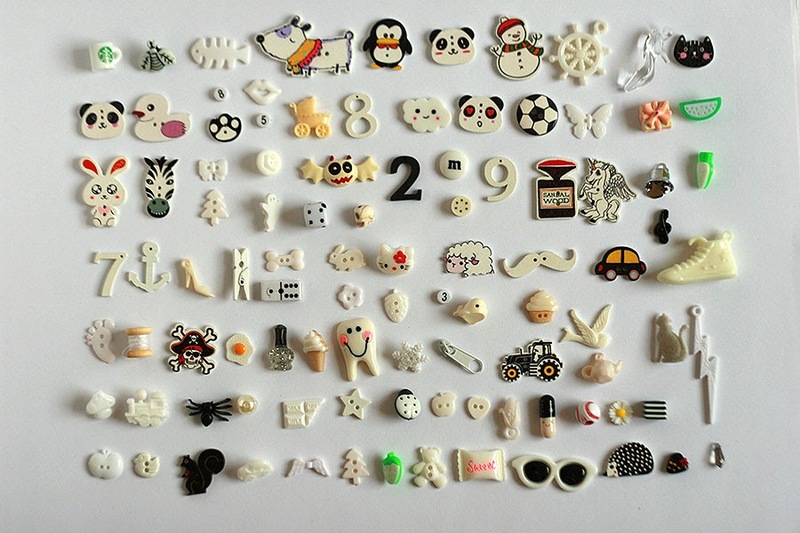 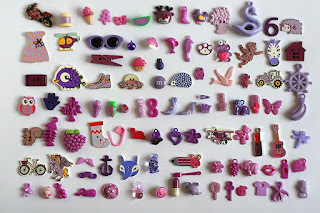 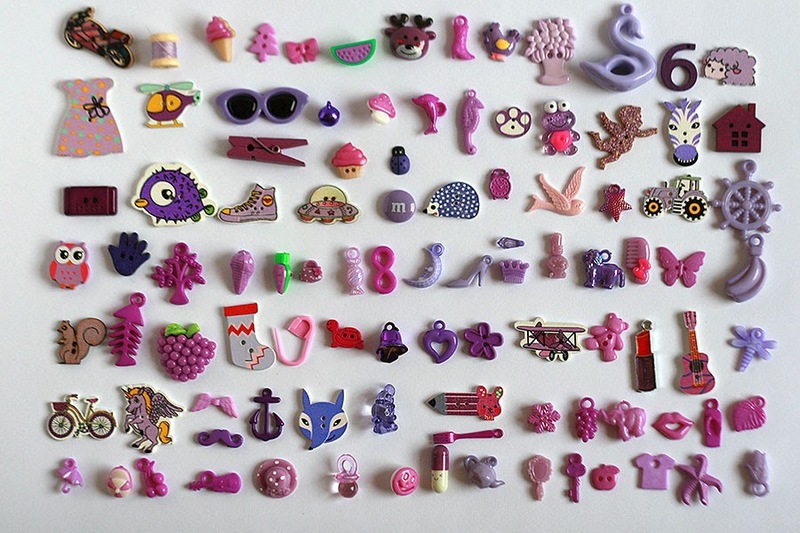 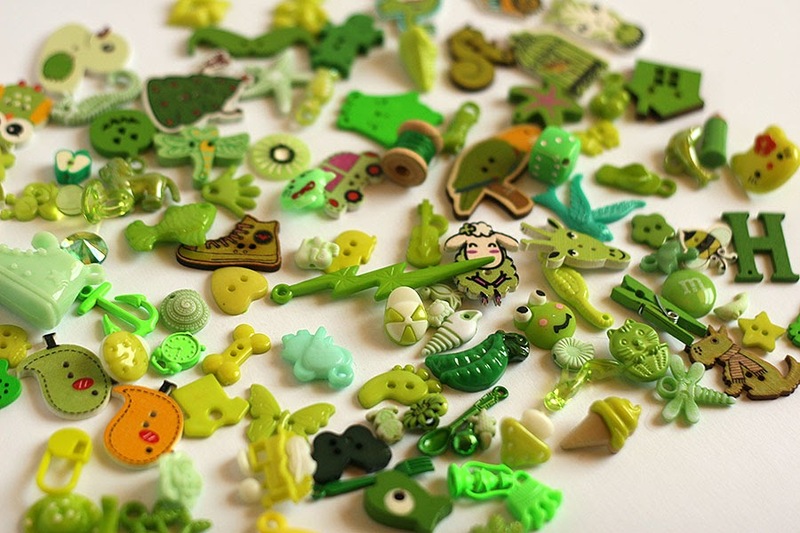 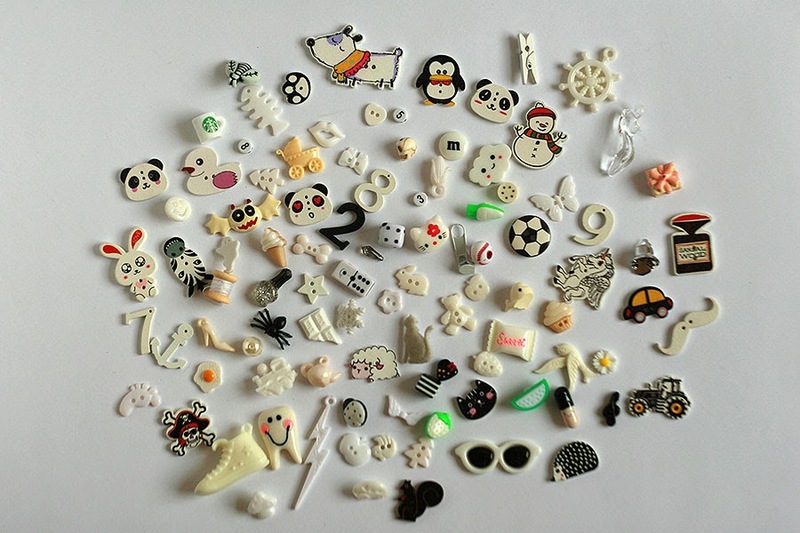 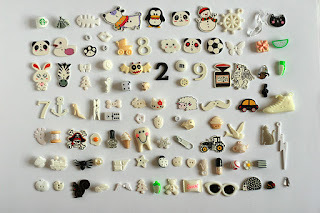 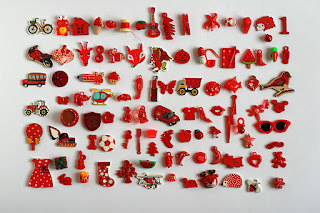 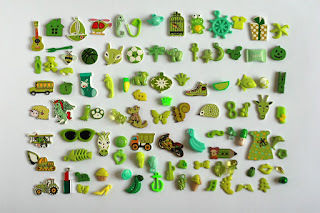 Miniature trinkets in shapes of simple objects, like animals, bugs, transportation, clothes, letters, numbers, nature, food, games and many more. 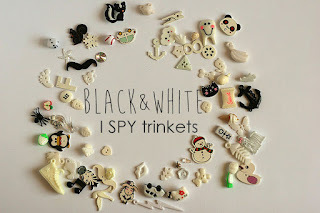 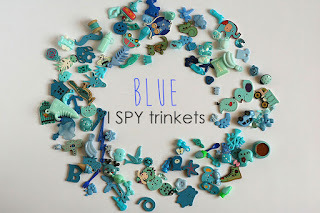 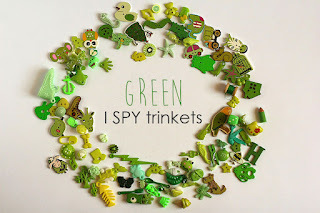 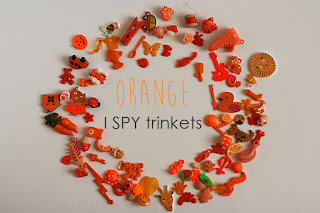 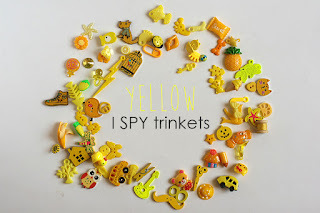 Great for rainbow I spy bottle/ bag, and other games and crafts. 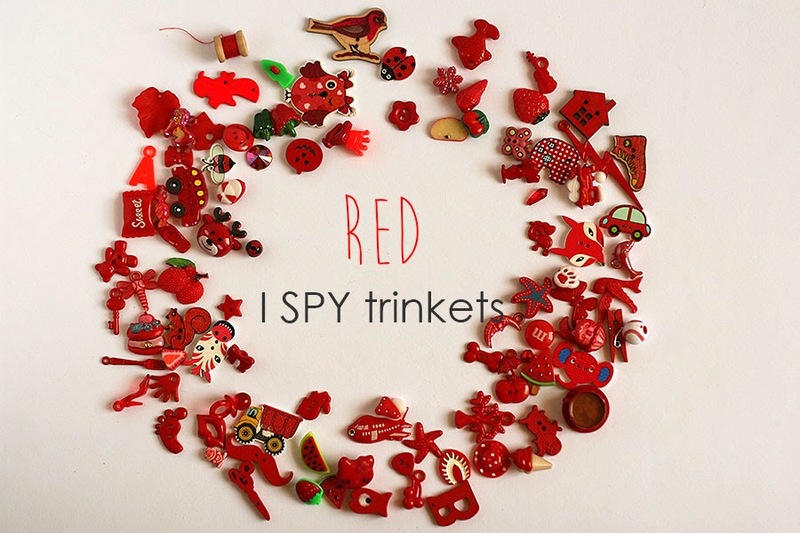 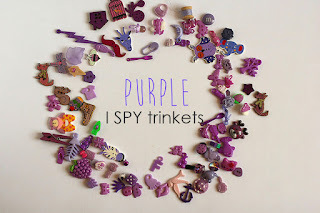 Only different trinkets in one color set. 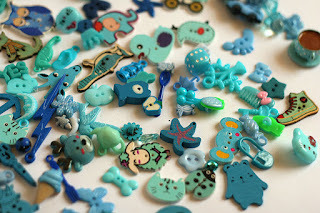 In different colors the trinkets will repeat. 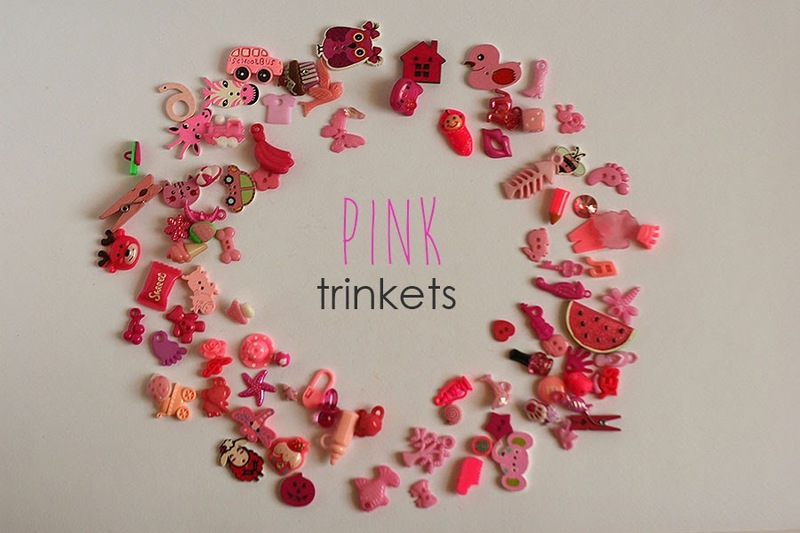 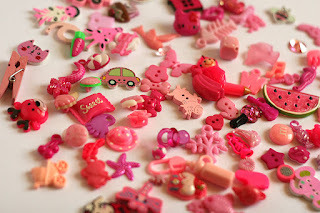 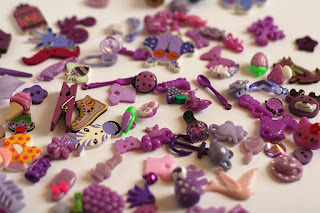 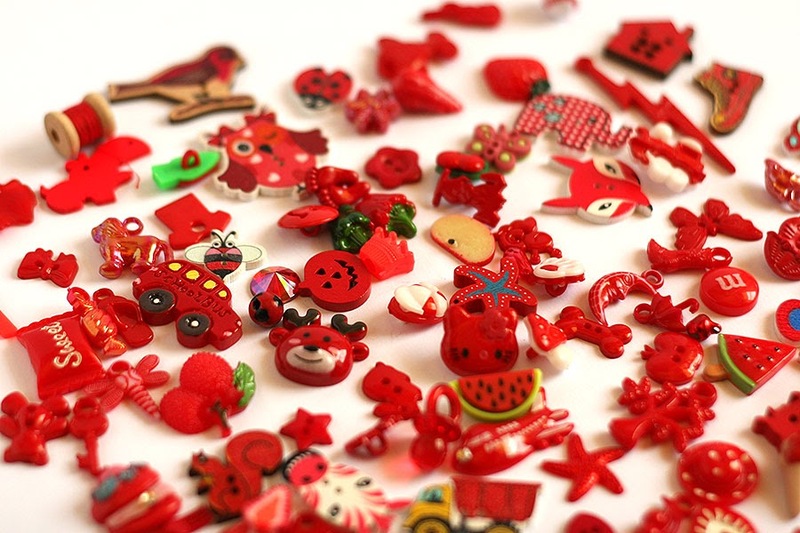 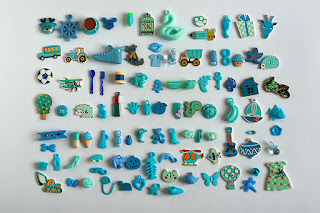 Select number of trinkets for your set – 20, 50 or 100. 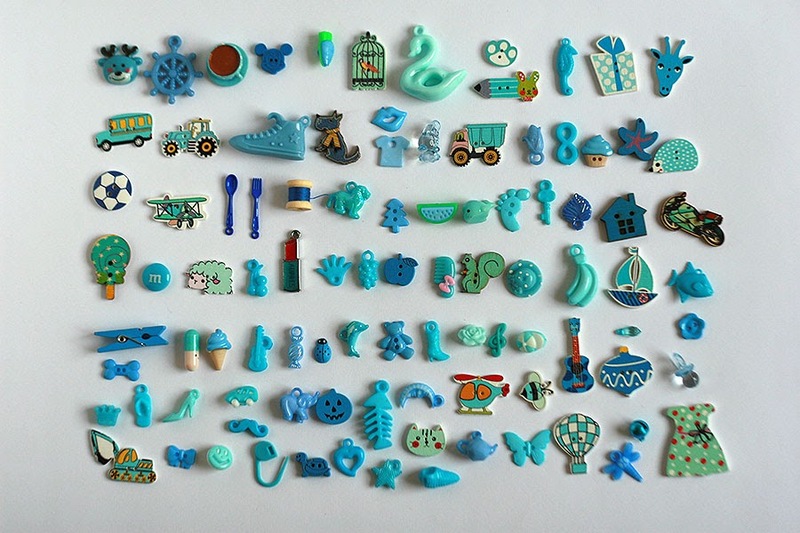 The pictured trinkets are only an example what you might get, not all of them will be included.